Your top sales people snorkeling at a pristine Robinson Crusoe beach? Your most successful team on a treasure hunt through the only desert in the Caribbean? Your board members participating in a cocktail seminar at the most beautiful beach in the Dominican Republic? If these scenarios sound exciting to you we assume that you are looking for an incentive trip for your team, your department or your company. 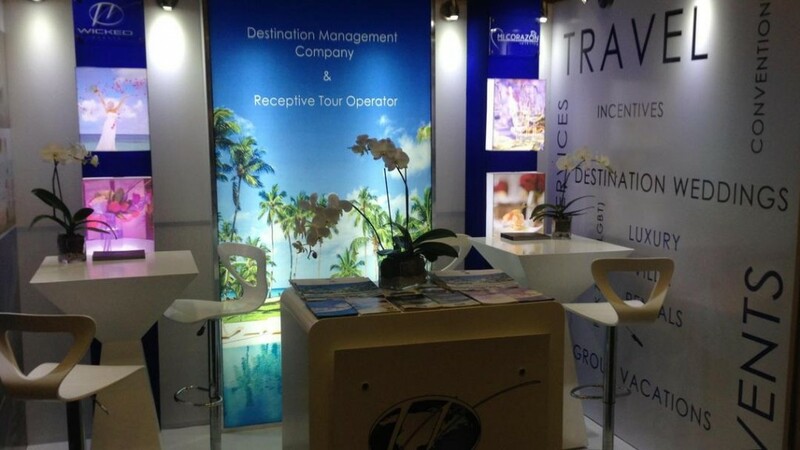 Welcome to the incentive travel pages of DOMINICAN EXPERT. This could be the location for your Incentive! We are a destination management company (DMC) in the Dominican Republic with in-house tourism, event management, and catering departments. For this reason, we are able to manage your corporate event or incentive travel completely from one source, without other agents, intermediaries and without additional commissions and fees. This is our unique advantage, and the reason why DOMINICAN EXPERT is your expert partner. Nowhere else can you get the whole package with direct contacts to all suppliers, the creative combination of different teambuilding and motivation events, and gourmet catering in every single spot of the island, all from one source. Please use our contact form to let us know about your wishes and ideas. We will use them to create a unique itinerary for you. For a sneak peek, please take a look at our incentive ideas where we have put together some suggestions. A few of our incentive ideas!Let us know about your wishes! You probably know, as we do, that incentive trips are motivating for your staff and for increasing your sales figures. Teaming up with DOMINICAN EXPERT gives you all that and a little something extra. Team road-rally starting in the tropical high mountains (> 6,000 feet in altitude) with chilly temperatures and finishing at the Caribbean picture perfect beach with 80 degrees and a tropical cocktail. Catamaran cruise to a pristine beach where a gourmet menu is served under the coconut trees. Check in at our exclusive luxury villas with our in-house catering and surprising events for entertainment and teambuilding. Of course we are not only creative, we also know our business to perfection. We handle the full organization of your incentive trip to the Dominican Republic, including booking your flights, handling your transfers, overnight stays in our hand-selected villas and resorts, plus taking care of you while you are here in the country. During the stay on the island a personal representative will assist you with all your needs. We are your expert partner for this group vacation, before the trip, during your stay and after you have returned from the Dominican Republic. You can contact us via e-mail, Skype, WhatsApp or phone. We are also specialists for groups, meetings and conventions in the Dominican Republic. We have direct access to the biggest conference venues, where the rooms easily fit several thousand participants. 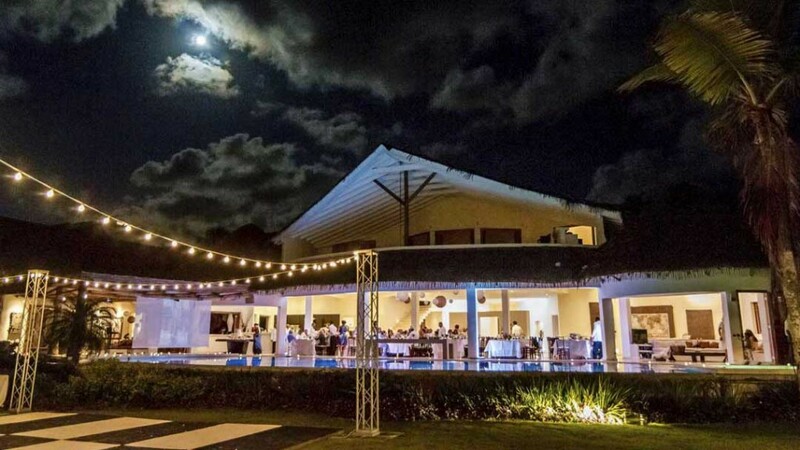 DOMINICAN EXPERT has experience in events and catering for more than 1,000 people. Our industrial kitchens in Las Terrenas and Santo Domingo are equipped to handle up to 2,000 participants. DOMINICAN EXPERT is your expert partner for your corporate event and incentive trip. We can organize everything: the villa to stay, the event to celebrate and the food to enjoy! Our strengths and services have almost convinced you? Please have a look at our 12 reasons why your next incentive trip should take place in the Dominican Republic and 12 reasons why DOMINICAN EXPERT is the perfect partner for you.